Woo hoo! You get to wear two hats during review cycles; participant + manager. TIP: It is possible that you may also be a review admin. If you are a participant, a manager, and a review admin, we suggest reading all articles before beginning a review cycle. For what to expect as a participant, see this guide. We strongly suggest reading the participant walkthrough before reading this article, as it gives you a foundation to build on. For what to expect as a manager, keep reading. Below is an outline of manager specific actions that need to be completed during a review cycle. You have already completed your self review, may have nominated your peers, and may have completed your upward review. These pieces are very dynamic and completion will depend on the deadlines that your review admins have set up. In addition to the emails you will receive as a participant, you will receive manager/reviewer specific emails. They are listed below (if applicable to your cycle). As a manager, the first interaction you will have with your employees is during the peer nomination window. Your employees have nominated their peers. You can also nominate peers on your employee's behalf up until the 'Manager approval' deadline. Once peers have been nominated, the next step is for you (the manager) to approve or deny the nominations. We recommend only approving nominations who work closely with the employee. If nominations are not approved or denied by the 'Manager approval deadline', all nominations will be automatically approved, unless the review settings are set otherwise. Click on your 'Reviews' tab. Click on the name of the cycle you need to work on. It will be under the 'Active review cycles' section. Click on the 'Peer nominations' tab. Scroll to the 'Peers for your team' section. Scroll to the 'Peers for your team' section. Find the employee you would like to add nominations for, and click 'Approve all' or 'Manage peers' to the right of their name. Use 'Manage peers' to remove your employee's nominated peer(s) and to add additional nominations. NOTE: Peers who have been approved by you, but not accepted by the peer will have a yellow ! icon next to their name. Peers who have been approved by you, and have accepted the nomination themselves will have have a green check mark icon next to their name. Once a peer review has been submitted for one of your employees, you will receive a notification. These are peer reviews that have been written for your employees. After submission/notification, you can open the peer review. As a manager, you do have the ability to remove feedback that is not constructive on these peer reviews. Depending on the review settings, the identity of the peer review author may be hidden from you. Peer reviews will be shared with your employees when you 'Share results'. This usually is the very last step in the review cycle. Go into your 'Reviews' tab in 15Five. Click on the active cycle that applies. From the 'Overview' tab, you will see 3 buttons labeled 'My reviews', 'My team', and 'Whole company'. Click the 'My team' button. Scroll down to 'Review progress' for your team, click the '...' next to the employee whose peer reviews you want to view, and then click 'View'. There will be a 'Peer' tab after the 'Self' tab. TIP: If you have a large number of employees, you can also search for a specific employee in the search field and then complete steps 5-6. If you are the manager of an employee who is also a manager, you will receive the upward reviews that your employee's employees have submitted. Once an upward review has been submitted for one of your employees, you will receive a notification. These are upward reviews that have been written for your employees. After submission/notification, you can open the upward review. As a manager, you do have the ability to remove feedback that is not constructive on these upward reviews. Depending on the review settings, the identity of the upward review author may be hidden from you. Upward reviews will be shared with your employees when you 'Share results'. This usually is the very last step in the review cycle. From the 'Overview' tab, you will see 3 buttons labeled 'My reviews', 'My team', and 'Reviewer drill-down'. There will be an 'Upward' tab after the 'Peer' tab. A manager review is completed for each of your employees/direct reports. You will be asked the same questions that your employee was asked on their self review. Asking both employee and manager the same questions reduces bias and creates a fair performance review environment. After your employee has submitted their self review and the manager review window has opened, you will be able to submit your manager review of them. You can draft up your manager review before you are able to submit it. However, you cannot submit your manager review before your employee submits their self review. Your manager review will not be visible to your employee/direct report until you 'Share results' at the end of the cycle. Following the manager review, you will begin scheduling final meetings. These meetings are where you will complete the Summary portion of the review cycle. Scroll down to 'Review progress' for your team, click the '...' next to the employee whose manager review you want to complete, and then click 'View'. There will be a 'Manager' tab after the 'Peer' tab. NOTE: You can also get to your manager reviews from the 'Overview' tab under your to-dos. Click the 'Write manager reviews' button. Also included in manager reviews is the 'Private manager assessment'. This section of the manager review is denoted by a pink background. The 'Private manager assessment' piece of Manager reviews is only visible to the manager who completed the review and the review admins. Additionally, the 'Private manager assessment' includes future focused questions inspired by research from Deloitte and highlighted in the April 2015 HBR article, Reinventing Performance Management, by Marcus Buckingham and Ashley Goodall. Questions 1 - 3 are taken directly from Deloitte, question 4 has been adjusted and Question 5 is 15Five's addition. Questions for the 'Private manager assessment' are managed by your review admins from within the review question templates. Once the self, peer, manager, and upward reviews have been completed, the summary form will open up. This summary be a condensed version of all reviews that were conducted on the subject employee. The summary is due by the 'Share reviews' deadline. 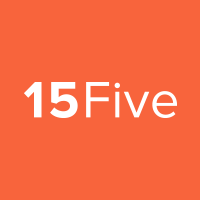 15Five suggests meeting with your team before finalizing the results of the review cycle. The ideal order of events is: complete the initial summary of your direct report, share the information from the review cycle with the employee using 'Share results', hold the final meeting, add on to or revise the summary itself and your summary notes, then finalize and share the review with your direct reports. We also suggest that managers first deliver feedback in person, to avoid the text being misinterpreted before the final results are shared. Manager will hold a final meeting with each employee. This meeting agenda should address the content of all reviews. Manager will make notes on the summary before sharing the results. The private notes in the Private manager assessment portion will not be visible to the employee. Once the Summary is ready to be released you can 'Share results'. Sharing results allows the employee to see all submitted reviews and the current information on the summary, but leaves the summary open for editing. After results have been shared and the final meeting has been held, managers will share results and finalize the review. At this point, editing will no longer be allowed. There will be a 'Summary' tab after the 'Manager' tab. Complete this summary using the previously submitted reviews of the employee. After entering your initial thoughts in the summary form, 15Five suggests using 'Share results' to release the information to the employee. This step will ideally take place before the final meeting is held. Next, it's time to hold the final meeting with your direct report(s). The two of you can go over the review information that has already been shared. After this meeting takes place, managers can edit the summary, add additional information to the summary, and revise any notes on the summary. When the summary is ready to be finalized, click on 'Share results and finalize review'. NOTE: Click 'Share results' to give the employee access to all answers from their reviews. Notes, summaries, and the private manager assessment will remain editable. Click 'Share results and finalize review' to share all answers, notes, summaries, and finalize the review. This action can’t be undone. If you would like to view and analyze review data for specific employees, you can download or print the results from within their specific review page. Click on the cycle that applies. Click the 'My team', 'Reviewer drill-down', or 'Whole company' button; whichever applies. Scroll down to 'Review progress' for your selected group, click the '...' next to the employee whose review info you want to download, and then click 'View'. There will be a gear icon toward the top right of the page, across from their name. Click the gear icon and either 'Download summary as CSV' or 'Print'. Want to feel inspired as a reviewer? Check out our conversation with Simon Sinek!